What happened for you in this year? And what happened to you in this year? What worked for you? And what worked against you? Which memories fill you heart with joy? And which fill you with sadness, or dread, or regret? I don’t want you to dwell too long on these memories, because the past is the past, and the future is the future. But right now your presence is everything. 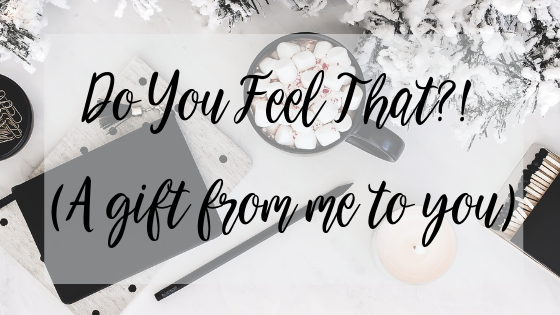 And I wanted to give you the gift of gratitude, self-awareness, and consciousness. Everything that has happened for you, to you or against you this year, has brought you to this very moment in time. A moment in time where you can read this message from a smart phone or computer screen, and breathe in a moment of stillness. Breathe in the Abundance the Universe has to offer. The first access point to Abundance is life. You are breathing, you are living, you are reading, and you are present in this moment. Allow all other thoughts to leave your mind. Whoever / whatever created the Universe, decided that amongst all of the confusion, chaos and creation, YOU were needed. Your presence in this world, in this life, in this very moment is needed. Wanted. Desired. You are loved. You are supported. You are heard. You are strong. You are capable. You are a force of energy. You are waking up to true consciousness. You are receiving messages from the Universe that are showing you the way. I am here, Harriette Hale, a humble little human who calls herself the leading Money Mindset Expert and the Priestess of Light, to help you. To guide you, to lead you, to listen to you, to share with you, laugh with you, cry with you, and call you on your crap when it’s required. If you choose to have me in your life in 2019, it would truly be an honour for me to help and serve you, in all the ways I know how, and perhaps in those ways I don’t yet know how. We do the damn things together. This life thing… requires more than a village. But first, it requires a moment in time to just be. So take this moment, a gift from me to you, to simply… be.